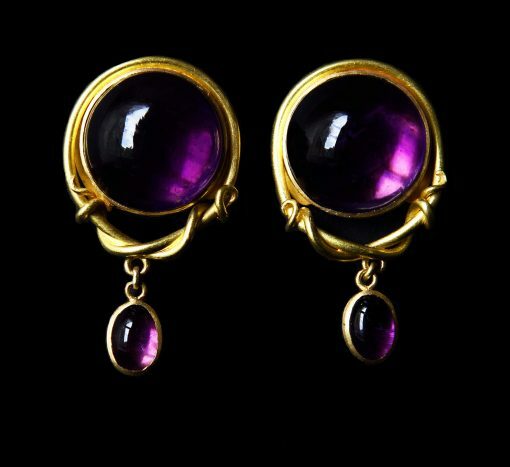 Large round amethyst cabochons set in 22ct gold with a vine motif. A small oval amethyst cabochon hangs below. Full overall length approx 2.25cm.